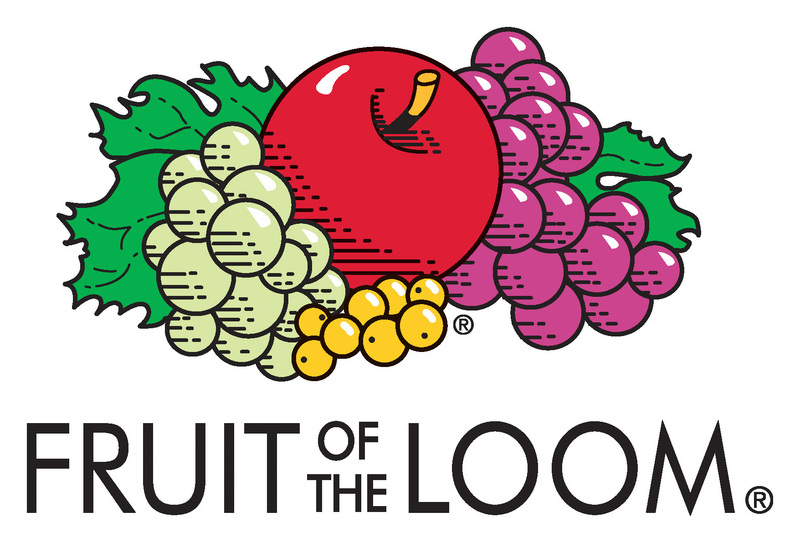 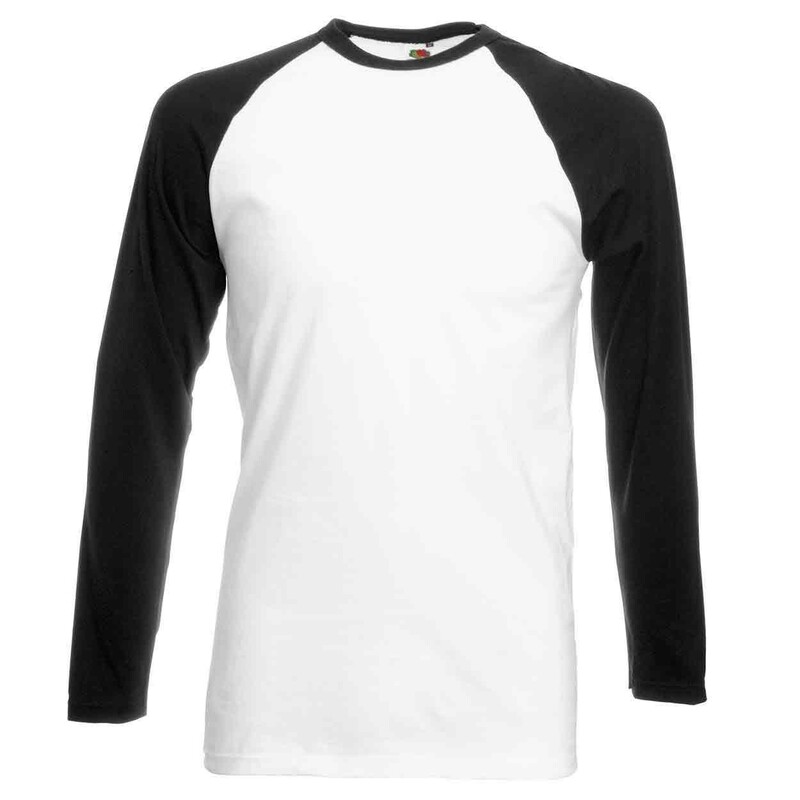 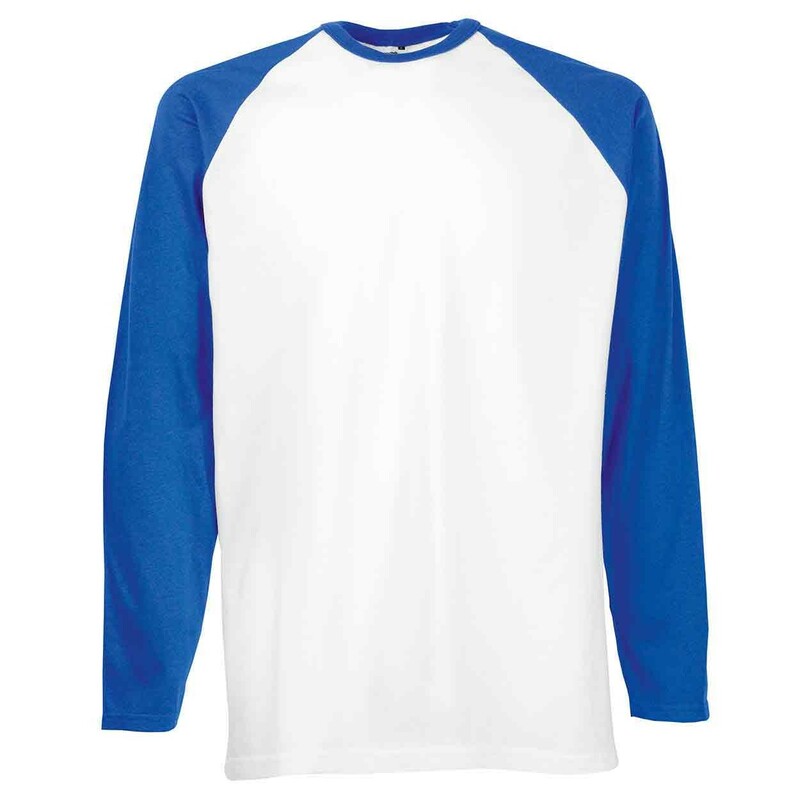 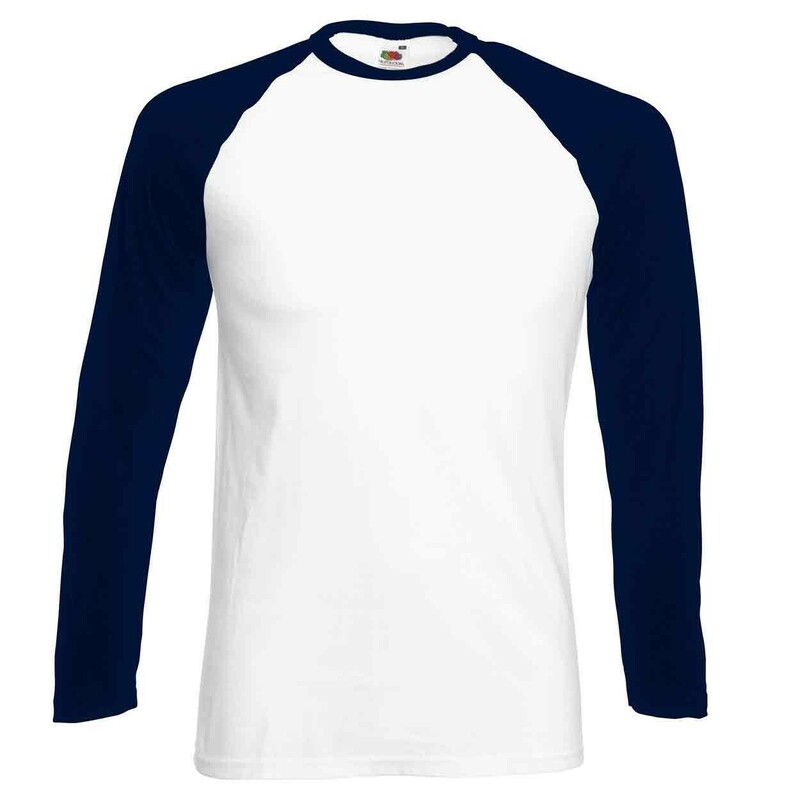 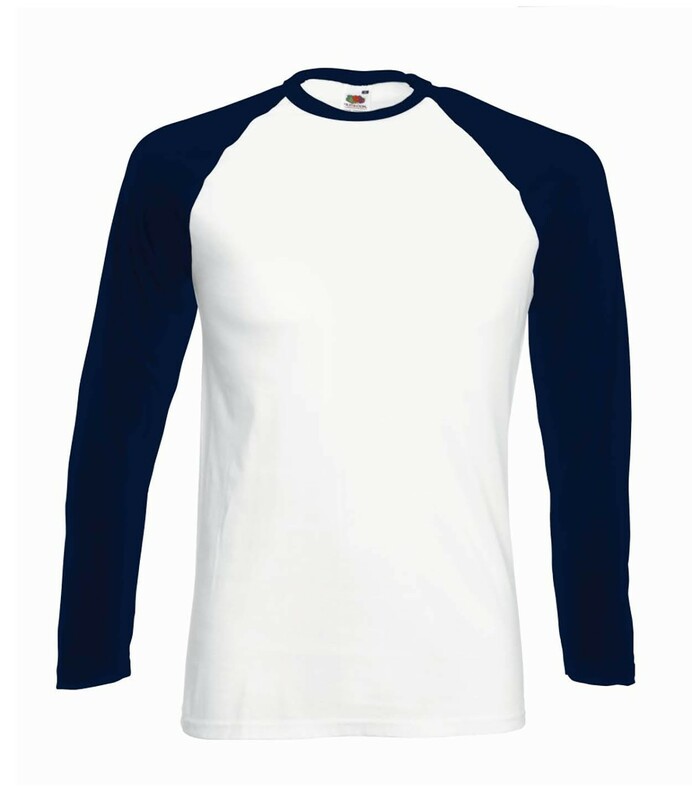 A Fruit of the Loom baseball style t-shirt ideal leisurewear. 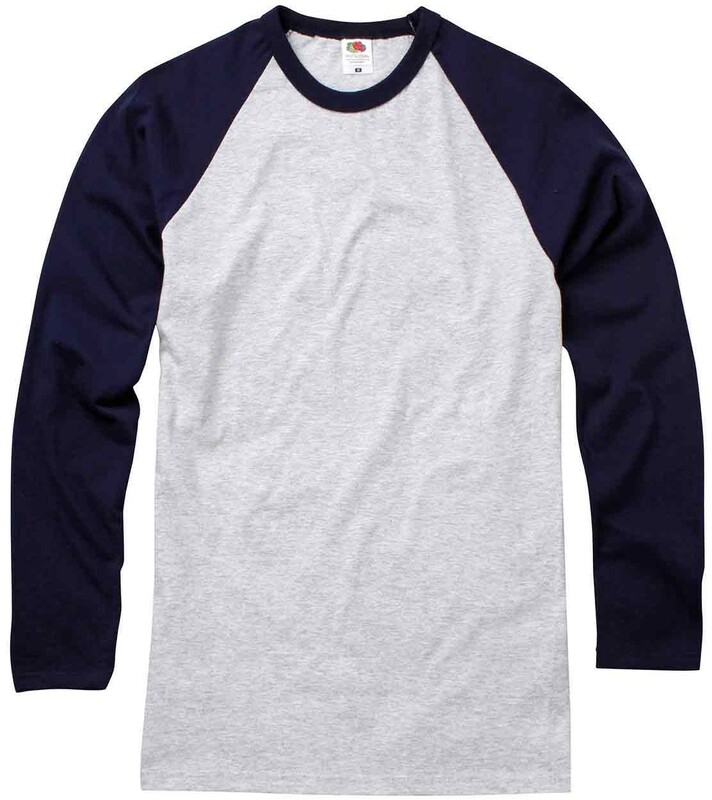 100% Belcoro Cotton. 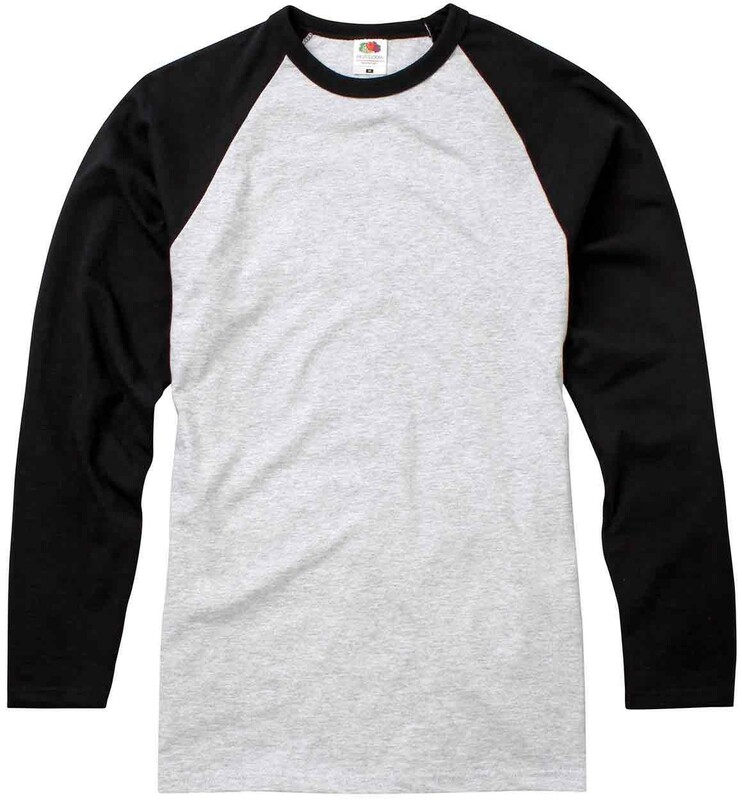 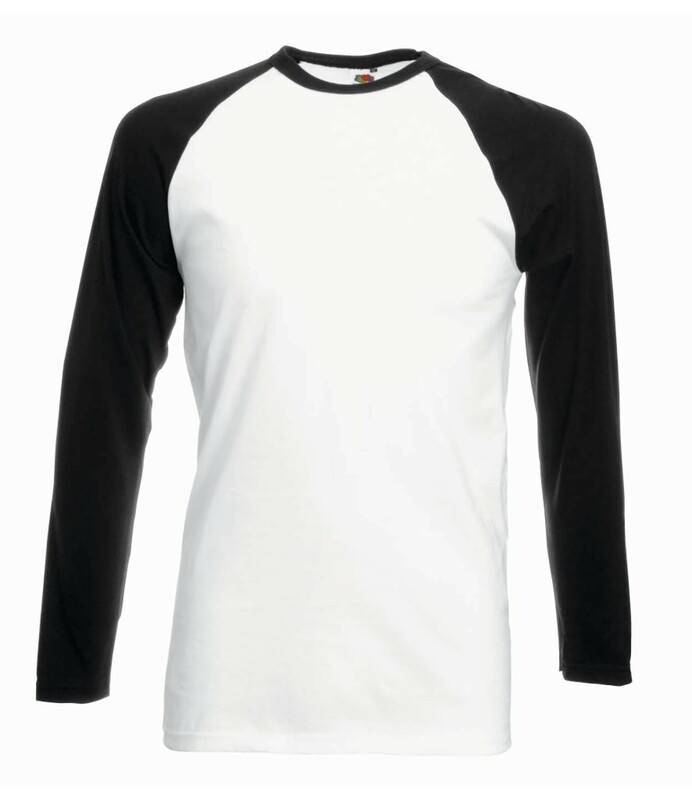 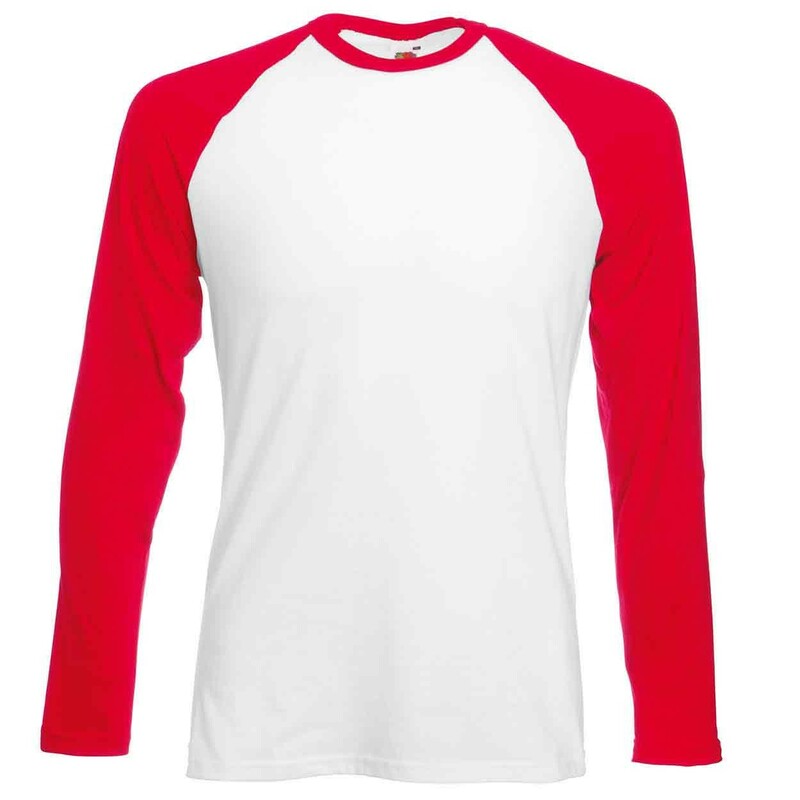 Contrast raglan sleeves. 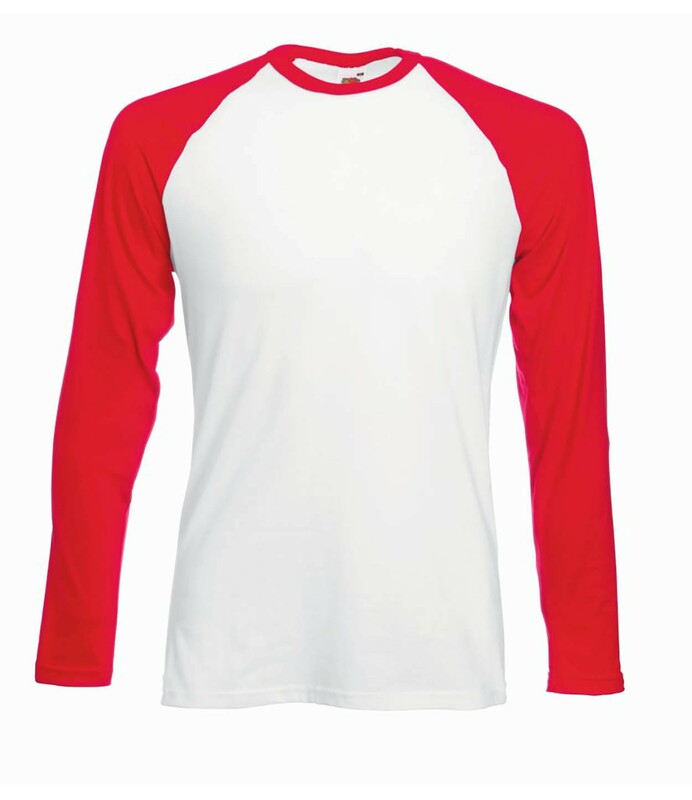 Twin needle neck, hemmed sleeves and hem. 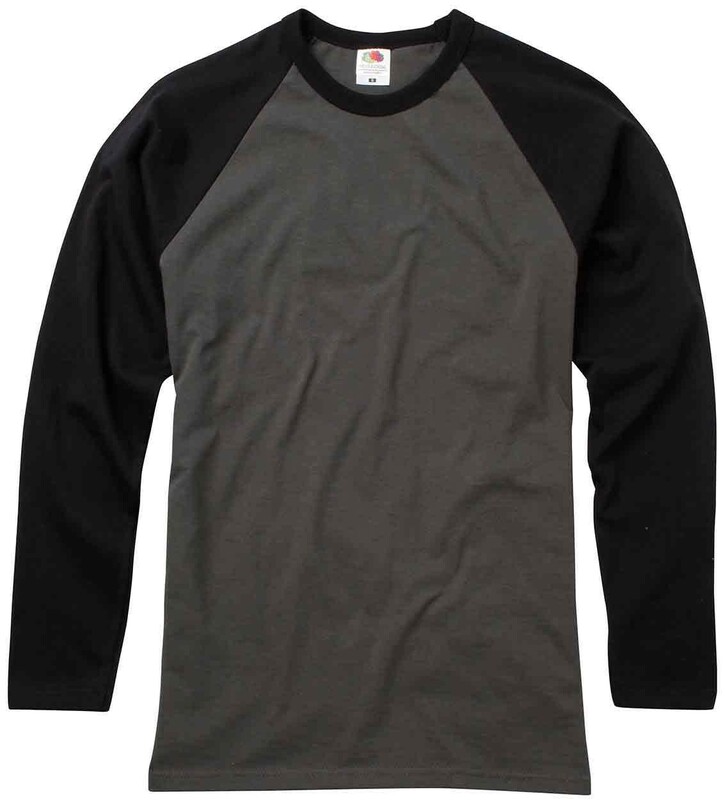 Fabric weight: 160gsm.